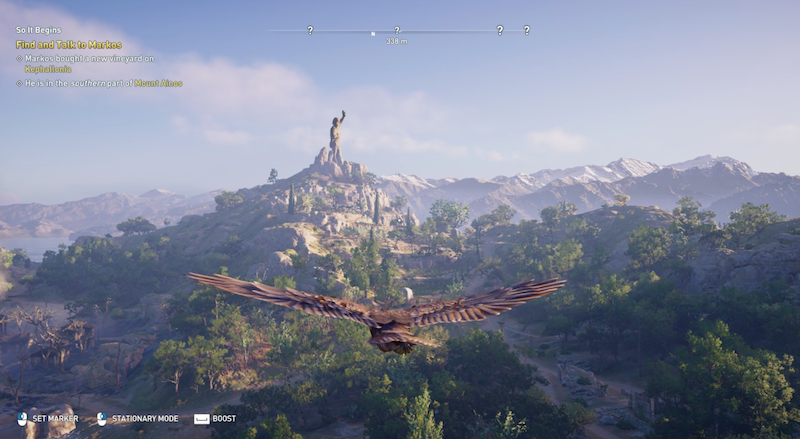 Project Stream, which allows users to play top-tier video games through a tab in the Google Chrome browser, went into early testing this weekend with Ubisoft’s fantastic Assassin’s Creed Odyssey. I tried it out on my 2013 Macbook Air, first on my home internet (~25 megabits per second) and then here at Kotaku HQ (~70 mbps). First I tried playing it with my keyboard and touchpad—not a good idea—and then I plugged in a DualShock 4, which went swimmingly. Short version is, this is incredible technology. Both tests were mostly stable for me, with very few latency issues. Assassin’s Creed Odyssey on Project Stream doesn’t seem to get anywhere close to 60 frames per second, and there are no graphical settings to play around with, but what I’ve seen so far is way more smooth than I expected, considering I was playing in a damn internet browser. As I screwed around on the island of Kefalonia, fighting bandits and solving side quests, I did notice a little controller input lag. It was enough to feel tangible, and I had to account for it while playing, but it didn’t take long for me to get adjusted. For the most part, though, Google’s Project Stream has been impressive so far. I’m looking forward to seeing what else Google can do—and how the company’s Yeti teams can solve the bandwidth problem for those people who aren’t lucky enough to have 25 megabits per second or higher internet speeds. Playing a game as beautiful as Assassin’s Creed Odyssey without a console or high-end PC is like glimpsing into the platform-agnostic future that many of us have been dreaming about for a long time.